Wear or gift this masculine COPPER Boyfriend Cuff. Whether you have been married for 20 years or dating for 2 months this custom bracelet is the perfect gift. 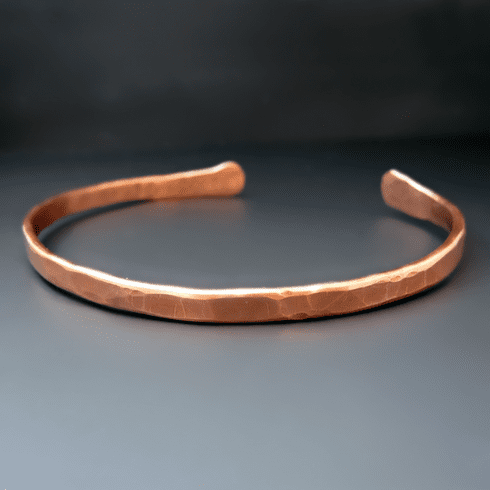 Made from 6 gauge, high quality copper this cuff is hammered and sized for a custom fit. It is the perfect piece for layering with a leather cuff, watch, prayer beads or chain bracelet. MADE TO ORDER: This piece is cut, shaped and hammered in my studio. Each cuff will be as unique as it wearer.